« Here we are commemorating it 150 years later as the last veteran of World War II dies. Today one of my former students emailed me to visit saying that she had a surprise for me. She brought me a present- sand from the beach at Omaha in Normandy. This was originally posted four Junes ago, I re-post here now. I came into school today, on a Saturday, to start packing up my room for a move to another room. But it is the 6th of June. Instead I am getting nothing done, mesmerized by the scenes, live from Normandy, of the 65th anniversary celebration. The President is there and so are 250 American veterans of the battle for Normandy, including one of my good friends, Buster Simmons, of the 30th Infantry Division. The Greatest Generations Foundation sponsored his visit with 9 other vets and college kids. Now I’m looking for him in the sea of faces. My son Ned and I watched him last night as a “Person of the Week” on ABC World News in a story I contributed to. If you view the clip, you can see the photograph I provided ABC with, taken by Major Clarence Benjamin, of the liberation of the train. This is the photo that Buster uses when he speaks to high school classes to tell this story. I am hopeful that we can get Buster to come to our high school for the liberator-survivor reunion in September. It was twenty five years ago, on this anniversary, that I wrote an essay in the local newspaper expressing my appreciation for the veterans of World War II. And as I begin to sort through and pack up 20+ years of memories in this room, three things are becoming clear: 1) my love for these men and women and what they did only increases as time passes; 2) the rest of my career will be focused on the promotion of narrative history in the classroom, linking students, veterans and survivors together; and 3) I won’t be getting any packing done this day. Buster Simmons has always been my hero!!!!! I adore him….he’s my uncle…. How i wish i could have been in Normandy with you for the ceremony. I will never thank you,and your folks, enough for what you did for our freedom. For years, I have know that Buster was an unusually talented and caring man. Now, after watching the clip on U-tube, I am keenly aware of his sacrifice for our freedom and awed by his continual optimism and confidence in the younger generation. Thank you Buster! Thank you too, my friend Gloria, for introducing me to your beloved uncle and giving me the privilege of meeting this beautiful man! Depuis jeudi nous vous cherchons partout, nous avons passé jeudi aprés midi à regarder si vous arriviez à Ste Mére et le comité d’acceuil des vérérants ne savaient rien sur votre expédition,nous sommes repartis le soir dépités de ne pas vous avoir vu. Mais maintenant nous reprenons espoir et irons demain à La Fière pour vous voir. C’est très important pour nous et puis je vois qu’il y a une jolie jeune fille prés de vous et je suis jalouse. Bien à vous mon trés cher Buster. Je vais dés maintenant prévenir Marie que je vous ai trouvé elle va être trés heureuse aussi de vous revoir. I have never met this hero but I heard a lot of him. 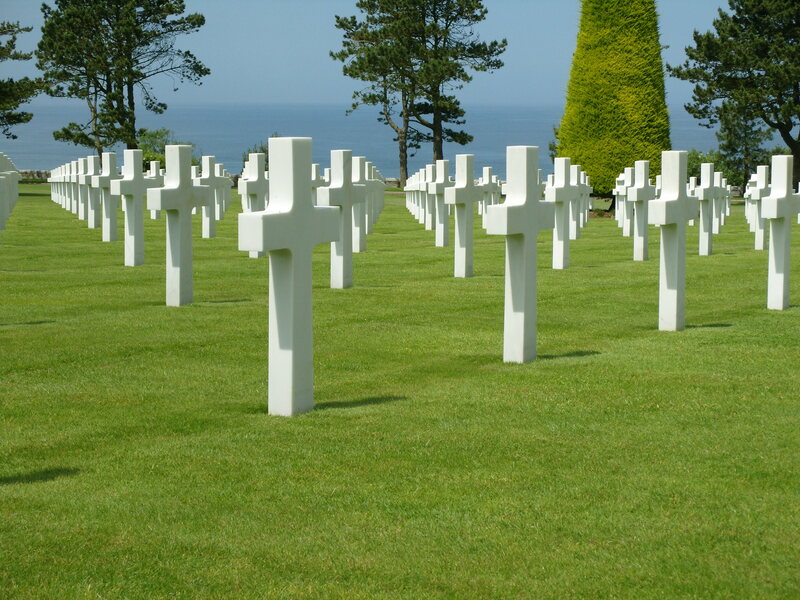 Let these words represent the feeling of the Dutch population: “Without You my friend and all the other American braves, there was no freedom at all in Europe”. The city of Maastricht in the Netherlands will honor you for everything You and your comrades have done to liberate us from the Hun. I recognised you immediately from the pictures Gloria has send us. Thank you for what you did for me, my family and all those you helped give freedom to. Gloria is a dear friend and keeps us updated about you. God Bless you and all the others who served our Country. I can hardly remember a time when I didn’t know you….and call you my friend. I am so happy for you that you were able to take this amazing journey and tell your story for other generations to learn from. Thanks for passing on the wonderful story about your Uncle Buster. I can see why you are so proud of him. He is such an articulate man, gentle and compassionate. No doubt shaped by his experiences and your family genetic disposition for warmth and determination. He is truly a hero. I was particularly moved by the intergenerational aspect of the trip to France. What a profound experience for both the college kids and the veterans! As a child, I remember our family meeting you at a hotel where you were attending a WWII reunion. At that time I was too young to realize the magnitude of what you helped do, and the courage and heroic measures you showed. I love you and am so proud to call you my Uncle. I understand more why he is so loved. – I had tears in my eyes. Thank You for sharing, Gloria!!!! Than you so much for sharing the video about your uncle. What a wonderful thing to see, if not chilling in it’s own right. We have so much to thank those “boys” for. My father was a pilot, but was in the Pacific Theater. Though it was horrible where he was and the losses were great, I thank God that he did not have to land on D Day! We first met Buster when we went with my dad to Europe on a reunion trip with other Old Hickory veterans. Saturday we tried in vain to catch a glimpse of Buster and the other Old Hickory warrior, Frank Towers, during the D-Day commemoration services, so we were happy to get the link to the video. We have said it before, but can’t say it often enough: Thank you!! I like the Ned Rozell involvement at the end! Thanks so much for sharing this, Gloria. You must be so very proud of him and the work he continues to do to touch the lives of so many …. That was awesome! What a man…..no wonder you are so proud of him….he’s some uncle…. Buster came into my life thirteen years ago through my marriage to his Niece (Gloria). I immediately recognized that he was an unique person – not only was he a vibrant individual, everyone with whom he came into contact loved him. My wife, Gloria, tells stories about how, as a child, he would take her and friends to get ice cream. In fact she confided in him to a greater extent than with her parents. I am so pleased that this nationwide recognition (ABC’s Person of the Week) was bestowed upon him and other hero’s for their WWII contributions to our freedom and prosperity. Buster, you’re my hero too. Buster Simmons is a true American hero, one that the rest of us can only hope to be half as brave as. I had the opportunity to speak with Buster about his experiences for a high school assignment a few years back now. His story was mesmerizing. What he and the rest of the American troops did for us can never be repaid. Buster, thank you for sharing your story with myself and the rest of the world. It truly is remarkable! Thank you so much for sending the email link. It was my privilege to listen to his story and I loved the video. I have forwarded it to both of my children. You are exactly right. Your uncle is a hero. This is such a testimony to yours and so many others love and detication to our country. I want to share with you a precious memory … I was with my Mama Clara Ellen(severe dementia) looking at her scapbooks just last week, as I often do to bring her back for awhile, we came across a letter Uncle Bill wrote to my sweet Daddy G ilmer (19 yrs old she thought) It was a very serious “big Bro’ letter, telling his kid brother to get it together and to do well, to make something of himself. His advice was the military, the navy, to bring purpose to his life and to build his character. This letter was in hand script and written with such pride. Mama thought it was just before Uncle bill was shot down. While he was in New York (postal mark) Such detication and pride men and women had in your generation. Not ever knowing my Uncle and never getting to know my Daddy because of his young death, I feel such pride to be apart of such a great family of men. My uncle Bill’s potrait hangs in my foyer with honor. I cherrish that Aunt Lucille shared it with me as a special gift, that connects me to my family. With the battles you have faced just these past few months. God continue to strengthen you and bless you is my prayer for you. I saw your story on ABC because Matt Rozell sent the link to the clip from You Tube. I had the privilege of meeting you at last year’s reunion of the the WWII 30th Infantry Division, and I thank you for passing on your experiences, thoughts and learning to the young people of this generation. I hope you’ll attend Matt Rozell’s reunion in September, so we can meet again. I’ll be there and look forward to seeing you. Thank you so much for forwarding all the good things to me. I am so proud and thankful to know you. Thank you Uncle Marion, Uncles Bill, Wayne, Robert Phillips, My Daddy and all of the men and women that have gone to protect our Freedom, Thank you to all of the young men and women that stand up for our Freedom now. Thank you to the future young men and women that will carry on in the name of Freedom! God bless you all now and forever! Words are not enough to describe the gratitude that I want to express to you and to your comrades who traveled for thousands of miles in order to rescue us – and not just us but all the others who survived and all the people of the Western world. I received an e-mail from Mr. Matthew Rozell with a link to a video clip and I watched the film which was produced by the students of Mr. Rozell. I saw how emotional you became when you revisited the place where so many of your comrades had lost their lives. I saw your tears and heard you saying that you wept for hours. And the tears you shed then are still burning in your eyes even today. We survivors know that the pain does not stop, even though decades have passed, and we feel your pain. And we are not just paying lip service; no, we have been very well educated as far as pain goes. One would think that the pain lessens as the years go by. But the opposite is true. With the years it becomes only sharper. The faces tend to fade away but the pain and longing only increase. I know this from my own experience, for when I was only eleven years old my father died while I was with him. This is my strongest memory – even though afterwards my brother and sisters were murdered, and the four children of one sister, my grandmother and some of her grandchildren, altogether 60 family members. This is a lot of pain. For years it fills you with deep sorrow. But I think that it is different when your comrades are killed right next to you. It seems to me that your comrade is a part of you. You fought side by side, as if you were one. And all of a sudden a part of you is being slain and you remain alone and vulnerable. And you will always miss him. But I want to tell you about my brother Shevach-Sandor, who was 22 when he was killed in Budapest on the 10th of January 1945, only five days before the city was liberated. He was not even allowed to fight, because he was a Jew. It was all right to kill him, there was no need to ask permission from anybody. This year I held an exhibition at the Mossad, our Intelligence Agency, for the fourth time now. Yes, this small nation has arisen from the ashes like the phoenix. Now I don’t need to present our army and everything that surrounds it – it’s alive and kicking when necessary. And all this is thanks to you – you are the heroes who came from across the sea and with your bodies you shielded us and you saved us. I am grateful to you and to your comrades and want to thank you on behalf of all the survivors from that train, and from all the other trains and concentration camps that you liberated. You made it possible for this nation to rise again. May you be blessed. I wish that you will enjoy many, many more years of good health in the circle your family. And I also wish Matthew Rozell many more years of fruitful activity in his tireless efforts to commemorate the holocaust, with the help of his wonderful students who are the link that passes on the history with all its memories to the future generations. It was only recently that I watched the presentation which Mr. Rozell sent me, where I also saw you in a short video clip. I do hope to meet you in September in good health. Please pray for dear, remarkable Uncle Buster as he is in hospice care—he has saved many people AROUND the WORLD! I pray he knows the love that he has saved, created, and feels enveloped in the presence of it!!! during this time!